If you work for a company that offers a 401(k) plan, enroll and contribute enough to qualify for your employer’s matching contribution. But don’t stop there. You also can save for retirement with your own Traditional IRA (your contributions are immediately tax-deductible up to the allowed limit) or Roth IRA (contributions are taxed, but withdrawals are tax-free). 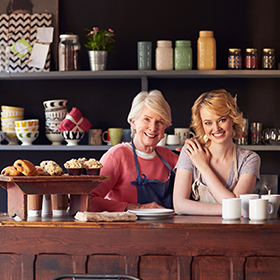 If you are self-employed or work for a small business, look into a SEP IRA, SIMPLE IRA or an individual 401(k) plan. These plans allow you to shelter a percentage of your earnings from tax and grow tax-free until you withdraw funds. If you want to save for education expenses or set aside money to cover health care expenses, consider an Education Savings Account (ESA) or Health Savings Account (HSA). When it comes to IRAs, 401(k)s, ESAs, and HSAs, most banks and brokerage firms limit the range of assets you can own in your account. Self-directed accounts give you more freedom of choice. Here’s just a short list of the alternative investments you can own in a self-directed account: real estate, precious metals, private placements, notes, and energy, oil and gas. 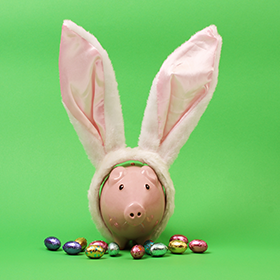 Putting all of your eggs in one basket is not a good idea when it comes to saving for retirement or any long-term goal. Diversifying the assets you own spreads the risk around and broadens your opportunities to add value. The mix of assets you choose may change over time along with your goals, life circumstances, and external factors. For example, younger savers may have more appetite for risk because they have a longer horizon before they will need their retirement savings. Saving in an ESA for a child’s college tuition in 10 years’ time may call for a shorter-term perspective on risk and return. Self-directed accounts give you the freedom to own a mix of assets in your tax-advantaged savings accounts. And because you control when to buy and sell the assets you hold, you can adjust to meet your needs. Get a jump on the Easter bunny. Take charge of the color, flavor, and number of assets in your tax-advantaged nest egg. You can open a self-directed account on the Entrust website in under 10 minutes.